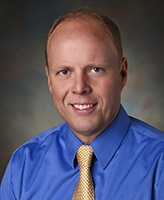 Eric Loken, Ph.D. is an associate professor in the Department of Educational Psychology, affiliated with the Measurement, Evaluation and Assessment program. His interests focus on latent variable models, Bayesian inference, and methods for reproducible science. He received his Ph.D. from Harvard University and studies advanced statistical modeling with applications to large scale educational testing.